Israeli spacecraft nears moon landing and place in elite lunar club - SABC News - Breaking news, special reports, world, business, sport coverage of all South African current events. Africa's news leader. So far, only three other nations have carried out controlled “soft” landings of spacecraft on the lunar surface - the United States, the former Soviet Union and China. 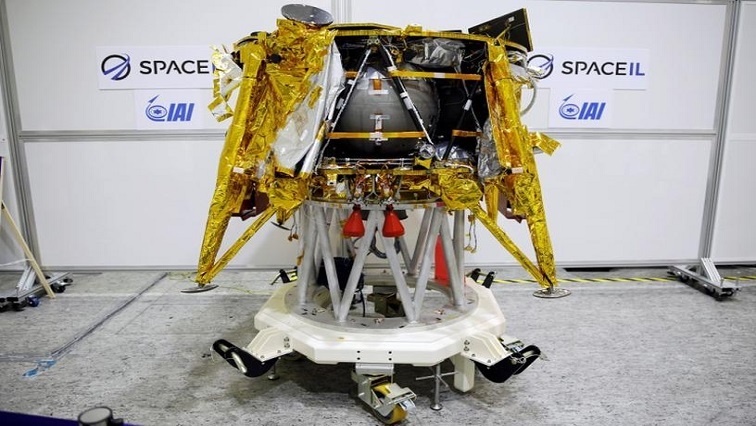 The unmanned robotic lander dubbed Beresheet , Hebrew for the biblical phrase “in the beginning” has travelled through space for seven weeks in a series of expanding orbits around Earth before crossing into the moon’s gravity last week. The final maneuver brought the spacecraft into a tight elliptical orbit around the moon, just 15-17 kilometres from the surface at its closest. The landing is set to begin late on Thursday, with touchdown expected around 10:25 p.m. in Israel (1925 GMT), the Israeli space team said. The US Apollo program tallied six manned missions to the moon – the only ones yet achieved – between 1969 and 1972, and the United States and Soviets conducted a total of about a dozen more robotic landings between them. China made history in January with its Chang’e 4, the first craft to touch down on the dark side of the moon. If successful, Beresheet would also make the first lunar landing by a craft not from a government program. It was built by Israeli non-profit space venture SpaceIL and state-owned defence contractor Israel Aerospace Industries with $100 million furnished almost entirely by private donors. This entry was posted on 11 Apr 2019,09:10PM at 9:10 PM and is filed under Sci-tech. You can follow any responses to this entry through the RSS 2.0 feed. Both comments and pings are currently closed.